Hey everyone! My name is Mekhi Wright-hopkins;I am 15 years old and this was my first year at Save The Harbor. This summer at Save the Harbor was amazing I learned so many new things such as: fishing, setting up crab traps, baiting rods and traps and different things relavent to that. Not only does this organization teach you the essential things for working here at Save The Harbor; they teach you life skills such as being responsible, patient, and communitive. This organization exposes you to so many people and different opportunities which is extremely helpful for us younger staffers. Thank you all so much for this meomorable summer! It has been a pleasure working with Save the Harbor Save the Bay for another summer. I really enjoyed working with everyone and with all the children that I would work with everyday. I love teaching the kids new things and I feel like I have accomplished my goals for this summer. One of the goals that I have accomplished was being more patient with the children. Also being able to be taught by the children as well. I would love to continue working here for the next few summers to come. It has been an awesome experience and I will take this experience to other people. I love everyone and I hope you all have a great rest of the summer. 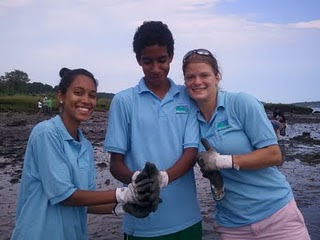 The last four weeks with Save the Harbor Save the Bay were amazing. This summer I got to work at the children museum and community boating this year. The kids were great. They are always ready to do hands on experiment and activity. even through the summer was hot the kids made it enjoyable I also got to meet great coworkers that are amazing on what they do specially Sara. This made the summer enjoyable and full of adventures. The summer ended before I even got to know some of the staff. I hope this isn't a good bye but see you next summer. Well, that's the end of another great summer. This has been my second summer working at SH/SB and I'm glad to say that it was more fun than last year's. That being said, last year's summer was also very fun, I did not think I could possibly ever have more fun working in the summer than I did that year, but I have been proven wrong. One of the main reseason why this summer was so fun was all the fantastic people I got to meet. Our staff this year was more than double what we had last year. I also had the opportunity to go on all access three times more than I did last summer, so I got to meet three times the amount of wonderful kids I met last year. Perhaps the only downside to this summer was the fact that I only caught three fish, compared to last year's 8. Nevertheless I had a ton of fun trying to catch and helping so many kids have a go. Personally, the joy of helping one of the young anglers catch a fish was greater than catching one myself. 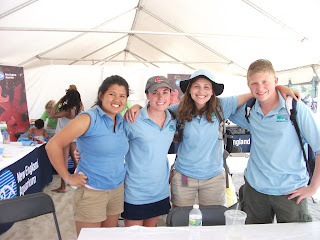 So, as they say, all great things most come to an end, with this blog post, another fantastic summer working at Save the Harbor Save the Bay comes to an end. But hopefully just until summer 2012. Look forward to working with all of you again next year. Enjoy the rest of your year folks. It is so hard to say goodbye to such an awesome summer. 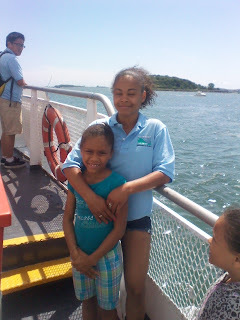 This summer I was very happy to be back on the water and enjoying having fun with the kids. 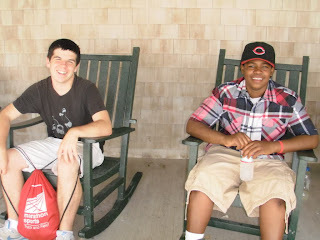 I will definitely miss the All Access Boston Harbor trips and Camp Harborview because they are my two favorite sites. I love going out to the islands because it always feels like a home away from home. Camp Harborview is an awesome camp with many activities and it's tons of fun to fish off the pier. I had a great summer working with everyone on the Save the Harbor staff. There were definitely experiences that I had this summer that I will never forget. Staff day capture the flag was fun for me even though my team lost. Also, the fishing tournament is something I won't forget due to the fact that my team caught a Gull! We didn't catch anything else, but I feel as though we should have received a prize for that catch. Now that the summer is over I can officially say that I achieved my goals. I did my best to keep kids engaged and made sure that each kid around me was having fun. I was able to do something I haven't done before and that was teach people how to fish during an insane and spectacular cliff diving event. I definitely maintained great relationships with all of my co-workers and they all made my summer fun, interesting and different. I really don't want to say goodbye to this summer, but I have to. It was another amazing summer working for Save the Harbor Save the Bay and I hope to be back next summer having even more fun. Last week was the last week of summer programs for STH/STB, but I still had time for one more trip to Spectacle Island to end my summer on a good note. 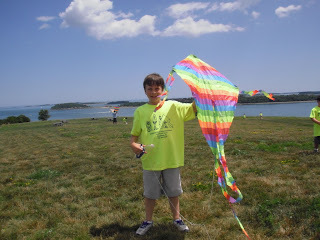 The weather could not have been more perfect for some kayaking, kite flying, sea glass hunting, and swimming! After stopping at Piers Park to pick up some intrepid sailors looking to explore the Harbor Islands, Vinh, David, David's daughter, and I spent a very productive afternoon combing the beach for sea glass. It was a little bittersweet since this was the last time I was going to be on the beach before heading back to school, and I was lucky enough to find some really unusual colors and shapes; I even found a marble! The rest of the afternoon was devoted to cooling off in the water before waving good-bye to the island one last time. Since the 2011 season of All Access is officially over, I'd like to take the time to thank the people who make it so much fun, starting with the groups that come out with us. Kids, you ROCK! Your enthusiasm inspires me, and keeps every day interesting. Counselors, you do a great job helping the day run smoothly and it's great to see you all have the time of your lives on the islands as well. To David Coffin, All Access leader extraordinaire; to Michelle and Brianne, schedulers and crisis avoiders; and to Bruce and Patty, Save the Harbor's fearless leaders: thank you for making this program what it is, for allowing so many children from Boston to experience the wonders of the sea, and for allowing me to be a part of it. And last but certainly not least, to my coworkers from the past weeks, thank you for taking charge, making children laugh, and keeping me sane. I am so glad I got to meet you this summer, and I hope to see you again in the near future! Taking this summer job was a great idea. Now I have experience working in the office from the six week internship I did this past April, along with experience outdoors. Having the chance to work with children from Boston was wonderful. 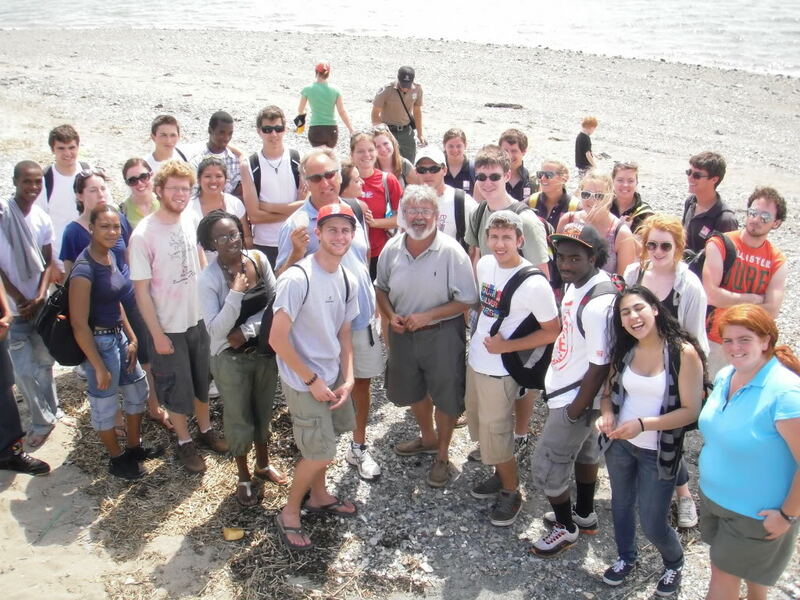 As I taught them how to identify a female and male crab, the type of crab, etc. I was able to learn with them. A lot of what I did was new to me. It was my first time working, working with kids, fishing, crabbing and flying kites. The time has come, summer is coming to an end, but I will carry these memories forever. I remember my first week I was at Piers Park. I grew close to as eight year old girl, Olivia. Olivia was teaching me how to speak Italian. :) Even though she only knows how to say fruit in Italian it was lots of fun. While I repeated the pronunciation of the fruit she spotted a wrapper floating in the Harbor. She screamed at me "Kristina go get the net, QUICK!" I quickly got the arancione "orange" net and handed it over to her, and she patiently waited for the plastic potato chip bag to float closer to the dock before she was able to have a safe scoop. I let her know if everyone was as aware and concerned about trash in the Harbor, it would be even cleaner. I told her imagine if everyone was able to scoop and grab a piece of trash they seen floating in the Harbor, and she said "I guess we need more people like me. People who care about their environment". Overall, Olivia and I learned something new. I learned some Italian and she learned that we need more concerned and caring people to help keep the Harbor clean. This summer I caught my first fish. It was a 35" Strip Bass that won me two Red Sox tickets in the fishing competition. The fish was so heavy, until this day I can not believe I was the one who reeled in that large fish! I am so proud of myself. 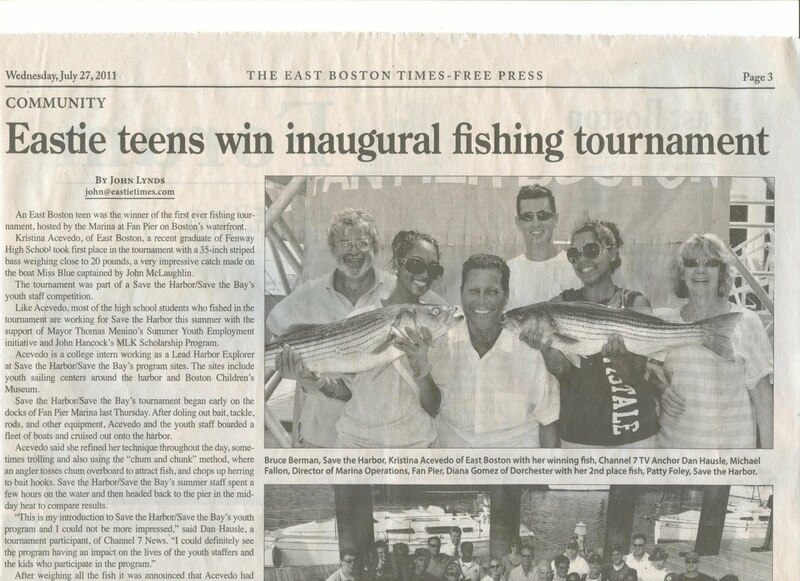 I love the fact that I was announced in the East Boston Times and that my parents brag to his friends about it. This was by far one of the best memories this summer. I learned how to fish this summer and managed to catch one of the largest fish as my first. My mom has the newspaper article pinned up on her bulletin board at work for all her co-workers to see. It makes me feel good about myself every time this memory pops into mind. If I was to never accept this summer job I would have never learned how to fish and never would have caught one. Staff day! That day was fun with my co-worker. I had the opportunity to learn about my co-workers. 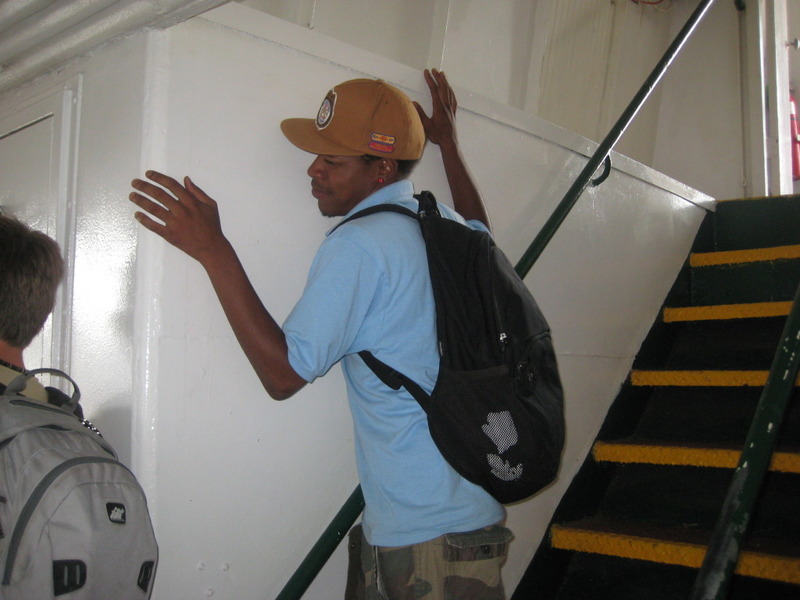 On the boat ride to Spectacle Island I learned along with others that Mehki takes his Mac with him.everywhere, or as Kassy says "His Jumbo IPOD!" haha. I learned how most of us had similar taste in music that later led to the discussion of an upcoming concert. Surprisingly the majority of us staffers are attending it! When we reached Spectacle Bruce and Patty, two amazing host, had prepared hot dogs on the grill. Of course Manny, Hughes and I were the first to create the line and ready to eat! :) We ate and socialized amongst each other and laughed at silly imitation Mekhi, Hughes, Manny and Vihn did. While some decided to play a game of capture the flag others hit the beach later on that day. I hit the beach and cooled myself off. It was such a relaxed day.It ended in a great way, a hula-hoop contest. Candido impressed us all with his hip movement and jumping skills that led him be the hula-hoop champion although Kassy was last to drop hers. Getting back to Boston I was happy with the tighter bonds I had built with some of my co-workers. The first time I seen ghost at George's Island! It was scary! The main attraction at George's Island is the dark tunnel. As many times as you go by the tunnel there are a bunch of kids and adults waiting to overcome the fear of entering this creepy, dark tunnel. While I helped get people in and out of the t unnel two older women had snapped a photo of the tunnel. They both came out with a scary look as if they saw ghost.. Surely their camera captures white blots down the tunnel that seemed to actually be GHOST! I was freaked out. I could not believe this. I quickly pulled out my camera and snapped a bunch of photo of what seemed to be a never ending tunnel. My camera along with the other women's camera had caught the same image. Some people said it was the lens of the camera that was dirty; therefore, I cleaned it several times to still get the same picture. A bunch of blurry, white circles in scattered places in the tunnel. The Clam Seeding was something different! 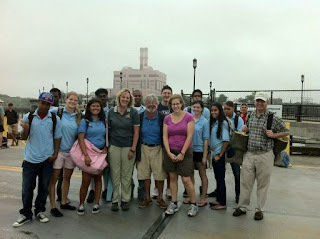 My team and I had headed to Thompson Island. As we waited for the ferry Bruce took pictures of us. 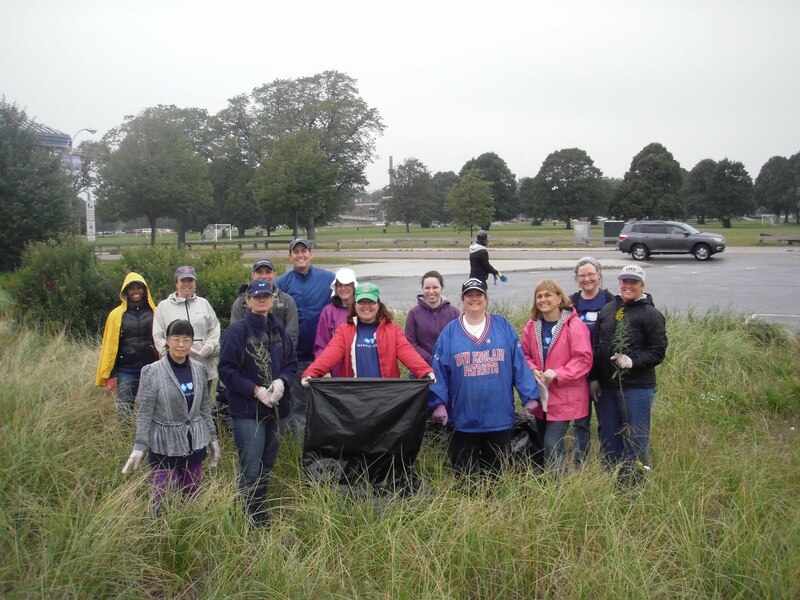 At first I thought the event was going to be cancelled due to the weather forecast, but the weather pulled through was okay for the day.I had no idea of what we were going to do, it was a surprise to me when I heard we were headed to Thompson Island. It was a surprise to all of us staff along with what we were up for at the island.Once we got there we were told we were going to do clam seeding. I was not prepared to do so because I had jeans on. Luckily, the staff at Thompson provided us, around 40 people, long rain boots and gloves. I tied my hair up, pulled up my boots up and put my gloves on. My group of eight headed out to the water, it was low tide. We placed a net on a muddy surface and began digging around the square net. After we did that we pulled the net back and began racking the surface removing Green Crabs we seen.We all grabbed clam seeds and carefully sprinkled them on the surface as the other eight groups did. We pulled the net over the seeds and put tons of mud on the edges of the net to told tight when the tide comes in. At the end of the seeding everyone was dirty! Some had squishy, dark , watery mud on their face, gloves, arms, pants and shirts.Before we knew it, it was time to bring our materials back and head back out to Boston. This was my first time clam seeding and I enjoyed myself. I hope I get the chance to do this again! Is it already time to say goodbye? At Save the Harbor/Save the Bay, 'tis the season where we say goodbye to the staff, kids, parents, and excitement of the summer youth programs. :( And what an exciting summer we had! 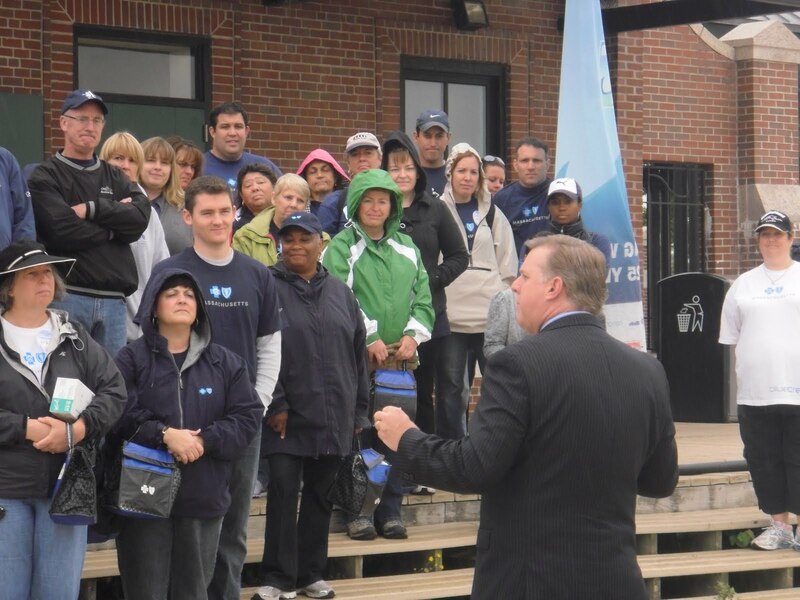 Some of my fondest memories of Boston came from the kids at all of our program sites around the city. 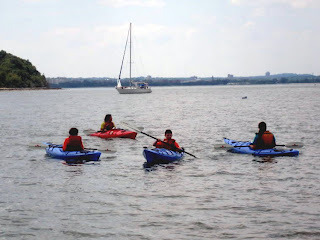 At Community Boating, I will remember the wind on the Charles river whipping through the sails of boats, the smiles produced from first-caught fish, and the clumpy cumulus clouds. 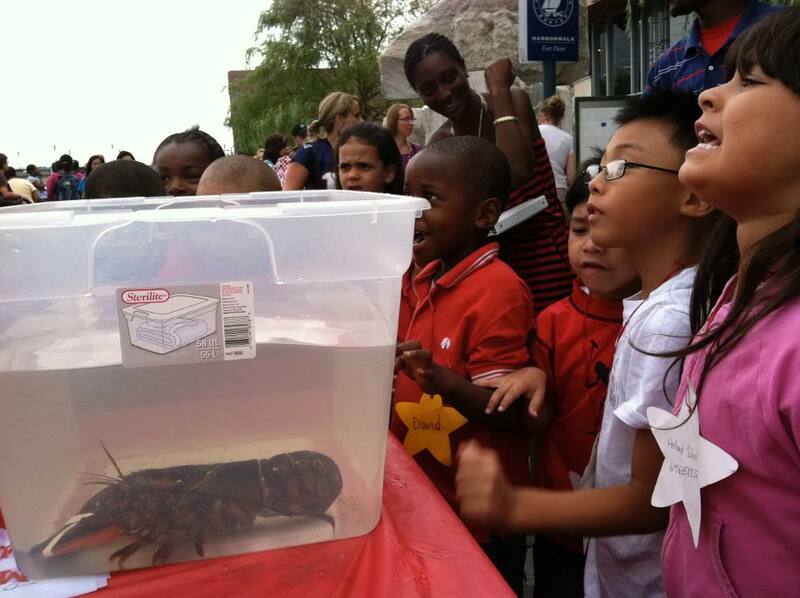 At Boston Children's museum, I will remember the expression created on a child's face after beholding a lobster for the first time. At Courageous Sailing Center, I will remember teaching kids about marine debris, and recovering it using a Remote Operated Vehicle with the Rozalia Project. 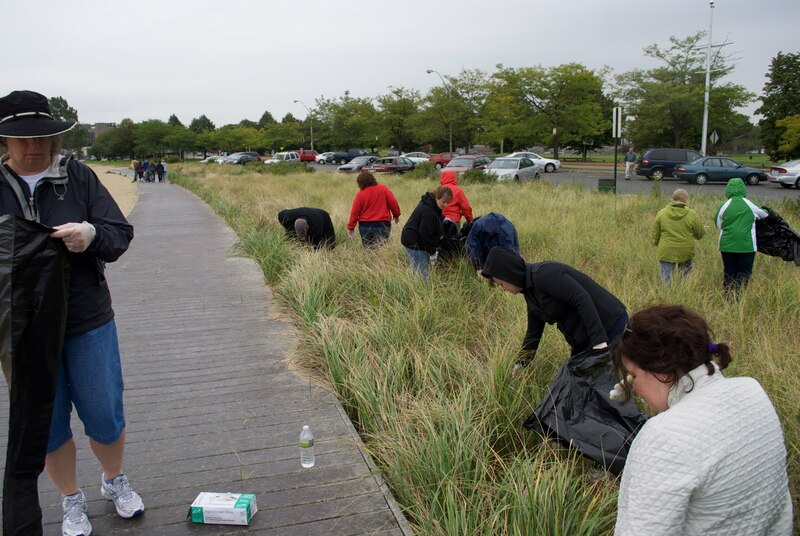 Other Save the Harbor highlights come from the work I did as part of a team of AMAZING staffers. I enjoyed being able to mentor my coworkers and learn from them simultaneously. Special thanks to Michelle Palermino and Brianne Studer for keeping the team running like a well-oiled machine. Most of all, I will remember the impact I was able to make on Boston's youth. 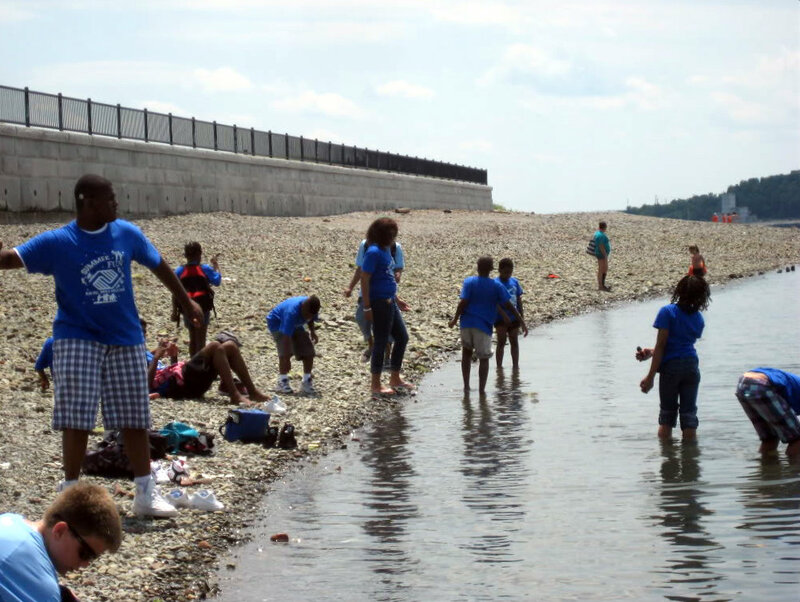 Hopefully, all of the children we worked this this summer have learned to love and respect their local marine environment, Boston Harbor. 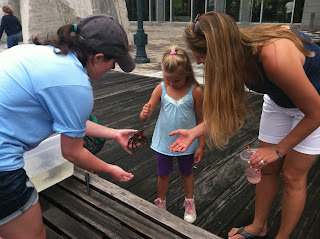 It was more than rewarding to be able to share my love of the sea, and teach about its creatures and systems. This summer, I educated and was educated in return. I trust that the things I learned about Boston, working with kids, being part of a team, and even about myself, will serve me well in my future endeavors. I am excited to apply my new found knowledge! 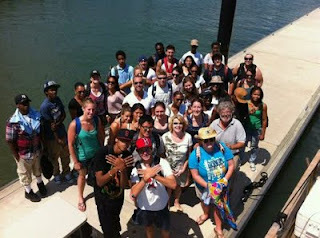 Thanks to Save the Harbor/ Save the bay for an amazing summer! What would you do with ten feet? Would you walk faster? Would you invent a new decapodian dance? Would you paint the toenails on each of your feet a different color? I might do all three, in honor of the decapods we find everyday in the Fort Point Channel at the Boston Children's Museum. Along with a whole host of other creatures, lobsters, shrimp and crabs are of the taxonomic order decapodia, which ,in Greek, means "ten-footed". As our fishing 101 group found out this summer, the lobsters and crabs that we pull up in traps there have 8 legs and 2 claws! In addition to their lovely limbs, the decapods at Boston Children's Museum have a whole host of other cool features! My favorite characteristic of these animals is their fantastic exoskeleton. Imagine having armor on the outside and no interior bones to speak of! As invertebrates, lobsters and crabs are spineless. So why is their shell called an exoSKELETON? Hmmmm. Let's think. Our bones provide support for our bodies from the INSIDE, but an exoskeleton protects and supports a body from the OUTSIDE. The kids at BCM enjoyed feeling the hard shells of the crabs and lobsters we found. Apart from their physical forms, the BCM decapods entertained kids and parents alike with fast moves and feisty personalities. Hundreds of kids at the museum marveled at the way crabs walked sideways, using all eight legs! The speed with which the crabs attempted to run out of the traps also impressed many entertained onlookers. Thanks to BCM for a great week and a great summer. But we cannot forget to thank our friends the decapods for their good looks and all the entertainment they provided us with this summer! Thus ends another summer at Save the Harbor/Save the Bay. It was a great summer to come back to Save the Harbor as it was our 25th Anniversary year, we held great trips on All Access Boston Harbor and great programs at all of the sailing centers as part of Boston Harbor Explorers and then, as my last two days, had a Summertime Beach Bash for the kids and then a Summertime Splash party the day after! I had a great time at the beach bash spending a majority of my morning making sand castles and then spending my afternoon feeding the masses a tremendous amount of hot dogs. It was great to be around the kids as an unofficial "office rat" it felt good to go out and see the work we had been doing all summer come together. 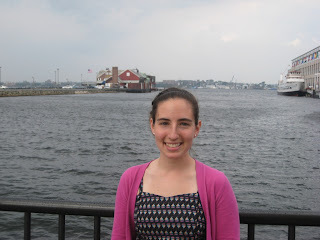 So unlike last summer, a summer of firsts and a little hectic, this summer was calm and great and I was so thankful to come back to Save the Harbor and be an intern again! Everything I've learned will help me so much! Thanks guys and maybe see you next summer, who knows! 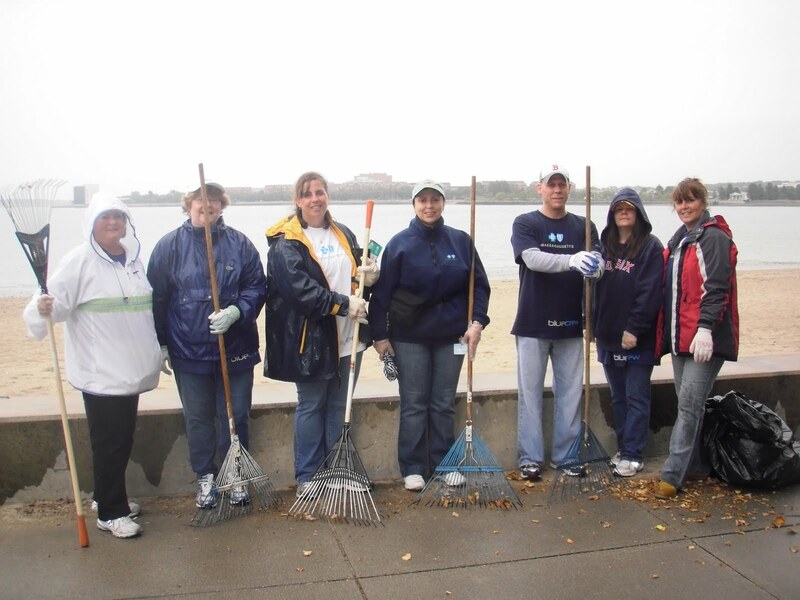 Last Friday's Beach Event Day in South Boston was amazing! I had a great time. It was so cool to see so many campers come together and just have a day of fun and relaxation, courtesy of Save the Harbor! I was mostly working on Sand Castles, which ended up with of bunch of campers and I digging to strike water (which we eventually did) and campers being buried up to their necks. And even though the stress level seemed to have gone up when lunch began, Save the Harbor did a great job working together; good job guys! But, my main focus of this blog post was to say my farewells to Spectacle. Although I have only been there three times with Save the Harbor, all my visits granted me some new adventure. My first time was meeting new staff and seeing what the island was all about (by the way, that was my first time ever ON the island); my second time had me flying kite (not going to talk about it); and my final time, which was today, had me kayaking around the island! Thi and I, along with three other people from another group, went kayaking in a sort of informal tour around Spectacle Island. 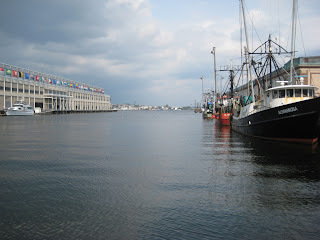 Although the harbor was really choppy, it was such an experience. I have only kayaked on rivers before, and to do it on theharbor for the first time, around such a beautiful island, truly was breathtaking. Later once we came back from All Access I realized what an awesome way that was to end my summer not only at Spectacle, but also at Save the Harbor. It's not my last blog post, but I still want to say thanks to all my fellow staff and the leaders and senior educators who made this experience for me an unforgettable one. I am going to miss all of you! 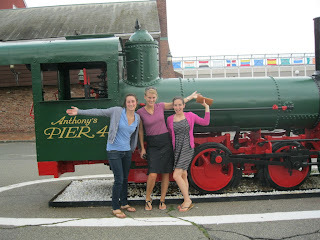 This summer working for Save the harbor/ Save the Bay went by faster than I thought- maybe too fast. I made a lot of new friends and was able to see a lot of new things, some of which I would've never thought possible. It's crazy because this time last year, I probably wouldn't have seen things how I see them now. This was a good thing for me because I learned how to come out of my shell and adjust to new surroundings. I'm thankful that I had the opportunity to work with Save the harbor/ Save the Bay, I learned a lot and I also grew in some ways. Hopefully I will have the chance to work here next year but until then it was nice getting to know my coworkers and the harbor! See you later! 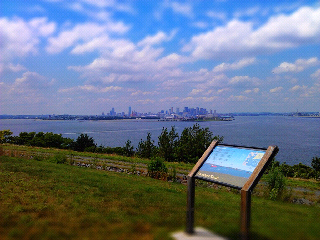 As we draw closer to Spectacle island, I take a minute to reflect on this wonderful summer. 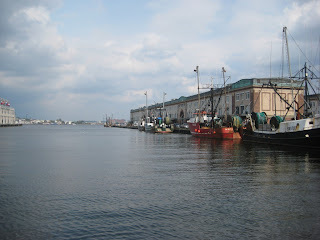 The smell of the harbor, the call of the gulls and the shine of the sea glass. I think, what a summer! Today was a relaxed day. When I was on the top of the island my eyes seem to focus on the view of the city, a nice summer day and the perfect view atop Spectacle. Today, all the little things mattered, from playing with a beach ball in a windy environment, to conversing with my co-workers about where to get good-priced school supplies! The lady at the summer shack even gave me and Manny two cheeseburgers for only $4.00! Now I'm not going to say today was my favorite experience on Spectacle island but it was more of an until we meet again type of situation. I tell you this though; nothing gets better than kicking your feet up and taking a minute to say "I'm on an island!" ... But then it's right back to work. Being apart of the AABH team was definitely the highlight of my summer! On the weekend of August 12th, Save the Harbor/Save the Bay hosted parties for all of the kids that we have worked with this summer, and their families. The turnout was quite impressive, with about 400 people showing up. The day was jam-packed with painting, sand castle building, fishing, and a touch tank with a lobster inside! With 400 people comes 400 bellies, so lunch was the most hectic part of the day, with alot of scrambling to get condiments and hot dogs. The staff was prepared with 1,100 hot dogs. 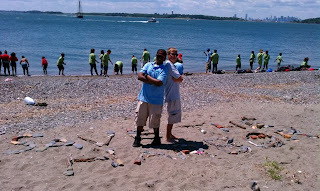 We also built a beautiful sand sculpture of the Save the Harbor/ Save the Bay logo! Meanwhile, Timmy, Candido,Will, and I had dug a very deep hole to keep our feet cool. Another highlight of the day was when the entire staff played ultimate frisbee. Conor was the leader of one team, while Michelle led the other team. Conor's team dominated as he was the ultimate frisbee co-captain at his college. 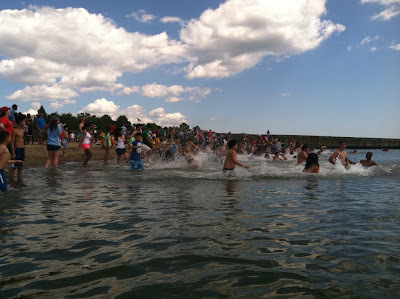 Of course, the most important highlight of the day was when everyone ran into the water to help raise money to help raise money to benefit Boston's beaches. The water was frigid, but everyone still had a blast! My name is Vinh Tran, and I am a sixteen year old residing in the Boston neighborhood of Dorchester. I currently attend the John D. O’Bryant School of Math and Science. 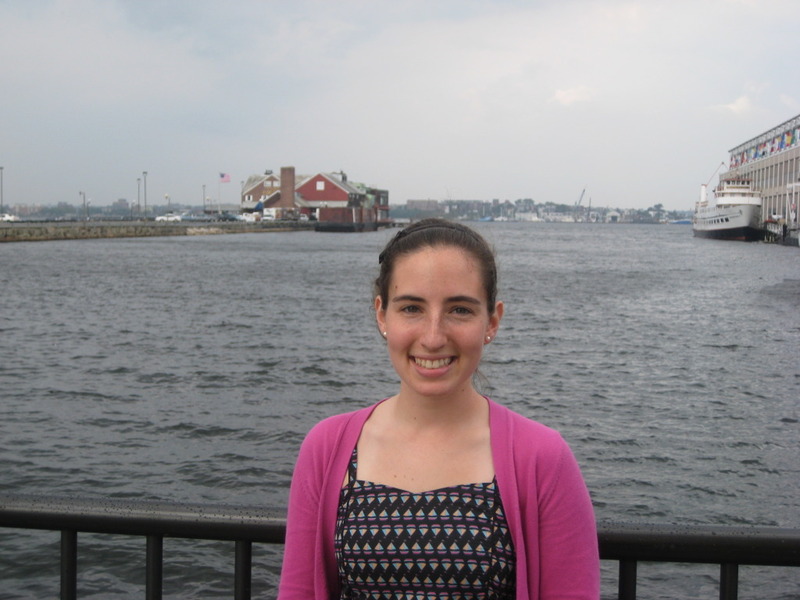 I’ve only been a staffer here at Save the Harbor for the past two months, but during those two months I have already acquired a plethora of knowledge relating to Boston Harbor. If the television show “Who wants to be a Millionaire?” had all of its questions based on Boston Harbor, I’m confident that I would walk home with a million dollars. I love spreading and sharing this knowledge with children younger than myself. 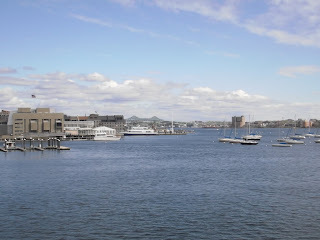 I have also grown to love and cherish Boston Harbor, and I would also like to share the same feelings and opportunities with the generations to come. Not many people get to go out to the islands for a leisurely hike or swim. 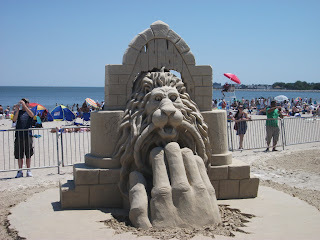 To fulfill this, I think that Boston Harbor should offer more activities on the many islands such as sand castle building and sand sculpture building. 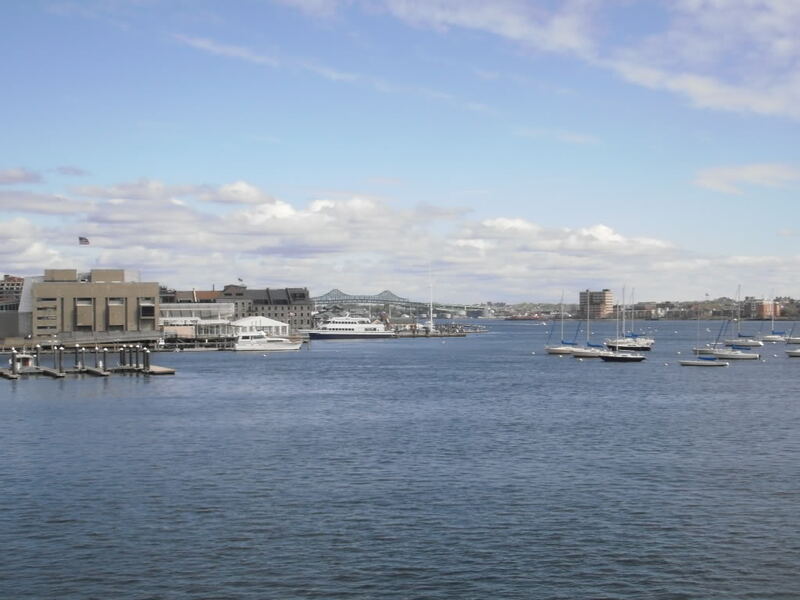 This would attract more and more people to the islands who would appreciate the harbor’s clean and refreshing water. I also think that every island should have their own compost and recycling area so the parks can have less trash. Each of the islands could have installed a compost pile so that organic items could be turned into compost. The people in the positions of political power can also help improve the harbor by campaigning and asking the public for donations so that the islands can build better facilities. 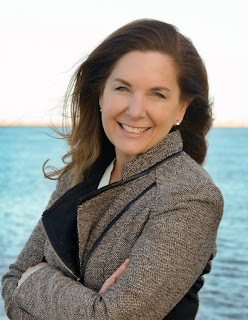 They could also use their political influence to spread the word around all of the state and even the entire nation to help gather funds to benefit the Harbor. This summer, I was so excited to come back to Save The Harbor. Last year was my first year, and I learned a lot of new things and got a chance to see a lot of new places. This year, I came back with everything I learned from last and I had a chance to be able to teach some of our new staff. It felt good because I remember when I first started. This year I can say that I was more engaging with people. I talked to everybody. I also got to meet a lot of new people, but the best part about it was I wasn't shy or anything. My last day at Southie was the great. It really didn't feel like the last day. Everybody was having fun as usual, enjoying the wonderful weather, relaxing on the beach and out sailing. Me and my co-workers were down on the beach walking with a couple of kids looking for crabs. We also found a couple of pieces of sea glass. 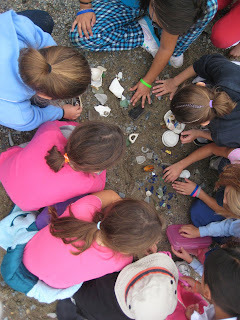 I didn't even know that Southie had sea glass on the beach, so that gave us something teach the kids about even though the kids at Southie know everything! But some of them were surprised on top of that because I got to work with some of my best friends for the last week of work. Being one of my favorite sites, i will truly miss McDonough and all my Southie kids. 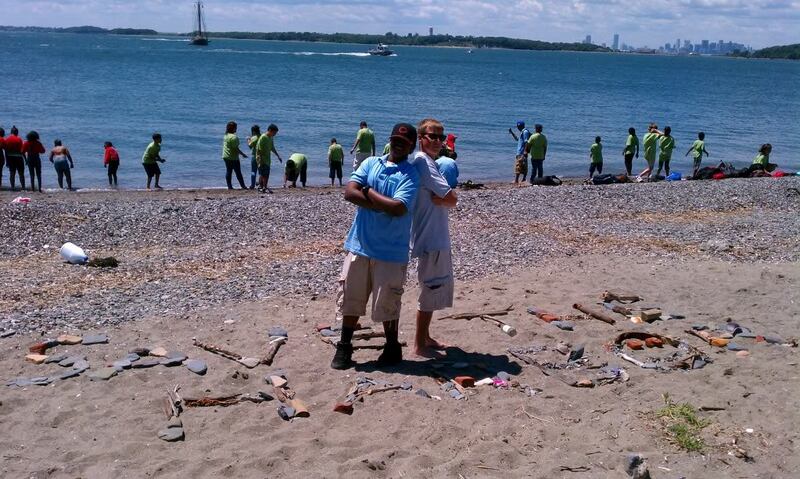 On Friday August 12th Save the Harbor held a huge beach party for 450 people. We had many kids all over the beach in South Boston doing many different activities with the staff. 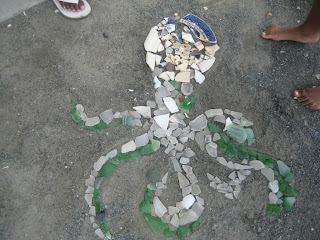 The activities that took place were sports and games, fishing, kite flying, swimming, art and sand castle building. There were many ways for the kids to have fun all on one beach. I personally enjoyed being able to say thank you to everyone for coming and supporting Save the Harbor. All day I witnessed kids having fun and smiles on their faces. Ours staff did a great job at keeping the kids engaged and made sure that every group had something to do. Lunch was definitely the craziest part of the day, but with all the staff doing what they could to help and our guests being patient things stayed under control. As an instructor for sports and games I enjoyed playing football and soccer with the kids. I learned a new soccer game called world cup which was very fun. Also, playing the football game called Jackpot was entertaining especially since I hadn't played in a long time. All together the day was very successful and it was a Save the Harbor event that I will never forget. This was the best summer ever for me with SavetheHarbor/SavethBay. I loved working with all of you. I learned a lot and went to places I've never been to. My favorite event was the Summer Splash. I had so much fun working with all of you! I wish we could have spent more time together! It's hard to say goodbye to each other. I hope all of you have a great rest of the summer. Be safe. On Saturday, our event whas another amazing day. We all ran down and jumpd into the water with exciment. Some of us built a SavetheHarbor/SavetheBay logo sandcastle. We threw some of the staff into the water who didn't want to get wet. Then we played a frisbee game, but my team lost. After we took a picture with our Save the Harbor logo sandcastle, and I didn't smile like always! There was aslo a band there! I loved the sound of the thier drum.